We meet the emotional needs while kindling the human spirit within each child we serve. Just imagine what we could achieve together if each person visiting this web site gave even a little. When "i" is replaced by "we" illness becomes wellness! 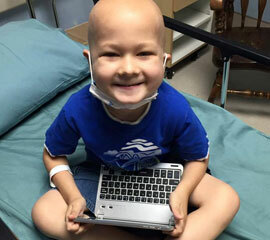 When you join the Circle of Smiles donor club for only $15 per month, this generous gift will bring smiles to children battling cancer every day! 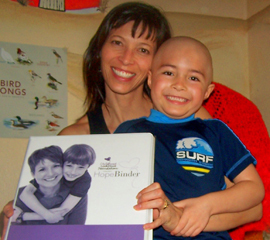 A gift may be made in your own name to support the Childhood Leukemia Foundation mission. An Honor Gift acknowledges special occasions such as birthdays, anniversaries, and other significant life events. 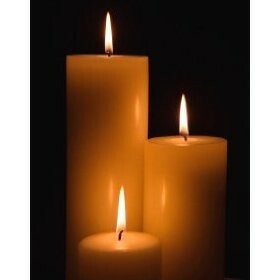 A Memorial Gift is made in memory or in honor of a loved one or friend who has passed away. 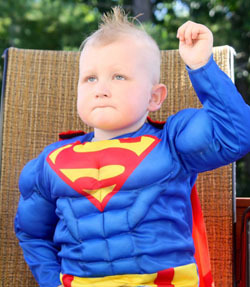 You can give to Childhood Leukemia Foundation in your will or during your lifetime. It's important to balance your income needs and the needs of your beneficiaries while receiving the tax benefits of giving now, as well as the ability to enjoy the act of giving DURING your lifetime. Before you choose a way to give, it's important to understand the tax implications of your decisions. Giving as much as you want during your lifetime and after you're gone may help to reduce federal estate and gift taxes significantly. 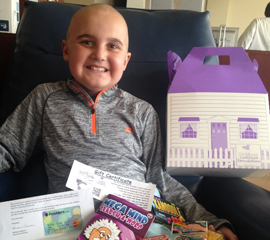 Gifts made to Childhood Leukemia Foundation are exempt from gift tax. 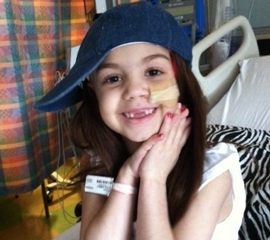 Lifetime gifts to Childhood Leukemia Foundation can result in an income tax deduction for you. You're eligible for itemized deductions for charitable contributions up to a certain percentage of your adjusted gross income for cash contributions. Another limit applies for contributions of appreciated stocks or real estate property in any one year. You may even be able to carry forward amounts that exceed the limit and deduct them over the next five years. Highly appreciated stocks may be good candidates to give to Childhood Leukemia Foundation during your lifetime because you bypass the capital gains tax that would be owed if you cashed them in yourself. You will also receive the income tax deduction. If you have substantially appreciated real estate or stocks, you can reduce your current capital gains tax by giving the real estate or stocks to a Charitable Remainder Trust. You can also choose to give a portion of the current value of the real estate or stocks to generate a payout for yourself or someone of your choosing. Charitable Lead Trusts allow you to make payments to Childhood Leukemia Foundation during your lifetime. The remainder of the assets can go to your estate, your spouse, or any other beneficiaries that you choose when you pass away. Charitable Remainder Trusts allow you and/or another beneficiary to receive payments during your lifetime and also give a portion of your assets to Childhood Leukemia Foundation. For example, you could receive income from your assets until you pass away, at which time the remainder goes to Childhood Leukemia Foundation. Retirement accounts might be the best candidates for a charitable bequest to Childhood Leukemia Foundation because they can be the highest taxed asset in any estate. Leaving your retirement account to Childhood Leukemia Foundation would decrease the estate tax burden on your family because your estate would be eligible for a federal estate tax charitable deduction. The mission of the CFC is to promote and support philanthropy through a program that is employee focused, cost-efficient and effective in providing all Federal employees the opportunity to improve the quality of life for all. CFC is the world's largest and most successful annual workplace charity campaign, with more than 200 CFC campaigns throughout the United States. Nationally and internationally, the CFC helps raise millions of dollars each year. Please click here to make your donation. The Childhood Leukemia Foundation's CFC Federal Campaign Number is 46392. Employee matching gifts is an excellent way for an employer to make the most of its employee's charitable contributions. Please check with your company's Human Resources department for further details. To learn more, please contact us at contact@clf4kids.org. Giving stock, instead of making a cash donation, is a benefit to both the giver and Childhood Leukemia Foundation. If the stock has increased in value from the time of purchase, the owner can avoid paying the capital gains tax by donating it to Childhood Leukemia Foundation. The total amount will still be eligible for a tax deduction. Since taxation is avoided on the stock donation, the giver will be able to make an even larger donation. To get more information, please send an email to contact@clf4kids.org, or call us at (888) 253-7109. Unfortunately Childhood Leukemia Foundation will no longer be accepting hair donations. Please consider donating you hair to Wigs 4 Kids and together we can continue to serve children suffering from hair loss. You're 60 seconds away from donating your car!